Scunthorpe United have signed Huddersfield Town defender Murray Wallace for an undisclosed fee. 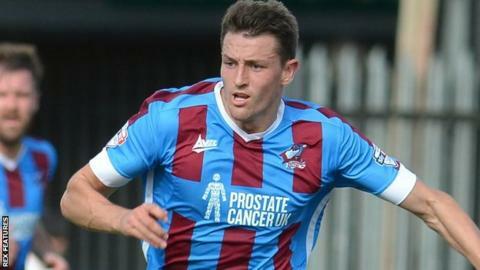 The 22-year-old Scot played 13 times on loan at the Iron this season and has agreed a three-and-a-half-year deal. Having been a youth player at Glasgow Rangers, he moved to Falkirk where he became a professional in 2011. He signed for Huddersfield in January 2012 in a £300,000 deal and made 60 appearances, but fell out of favour this season, playing just three times.